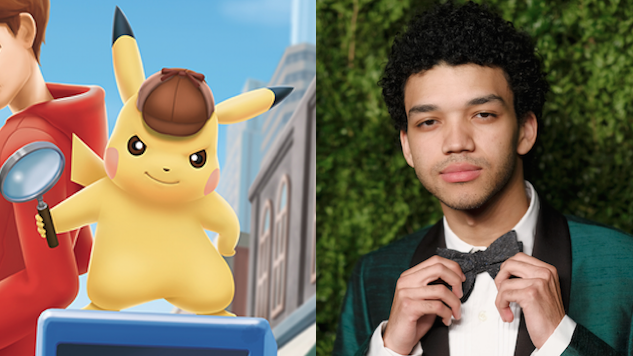 A peculiar Pokemon project from Legendary Pictures, a live-action adaptation of the Nintendo 3DS game Great Detective Pikachu, has found its lead actor. Justice Smith, a relative newcomer mainly known for his role in Netflix’s The Get Down, is playing the lead in the movie (per Variety). Detective Pikachu is not a game that was released outside of Japan, but its premise is pretty self-explanatory. A boy named Tim Goodman finds a talking Pikachu with the apparent intelligence and aptitude of a detective, and the two team up to solve mysteries throughout the city. The Variety report does not specify who Smith will play, but the role of Goodman, or a similar character, is the likely part for the actor. The Get Down recently wrapped its first (and final, after its cancellation) season, but Smith can be seen in the film Paper Towns and the forthcoming Jurassic World: Fallen Kingdom. The Detective Pikachu film will be directed by Rob Letterman (Goosebumps), and written by Nicole Perlman (Guardians of the Galaxy) and Alex Hirsch (Gravity Falls).